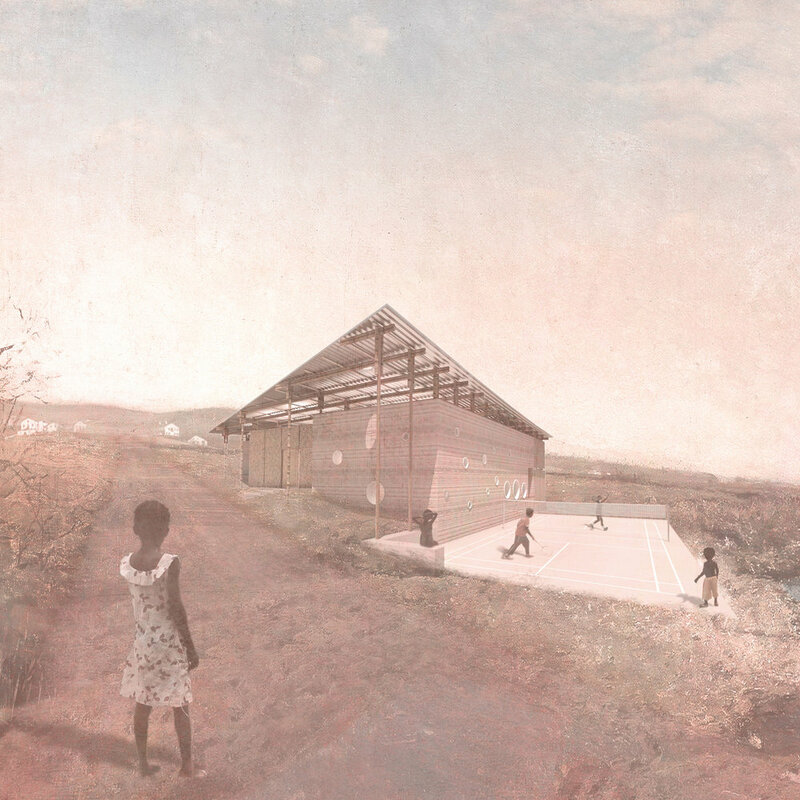 Teaming with the non-profit Ghana Free Community Libraries, the village of Bawaleshie-Kpone has looked for desperately needed educational resources by asking Bernheimer Architecture to design a new library and community center. 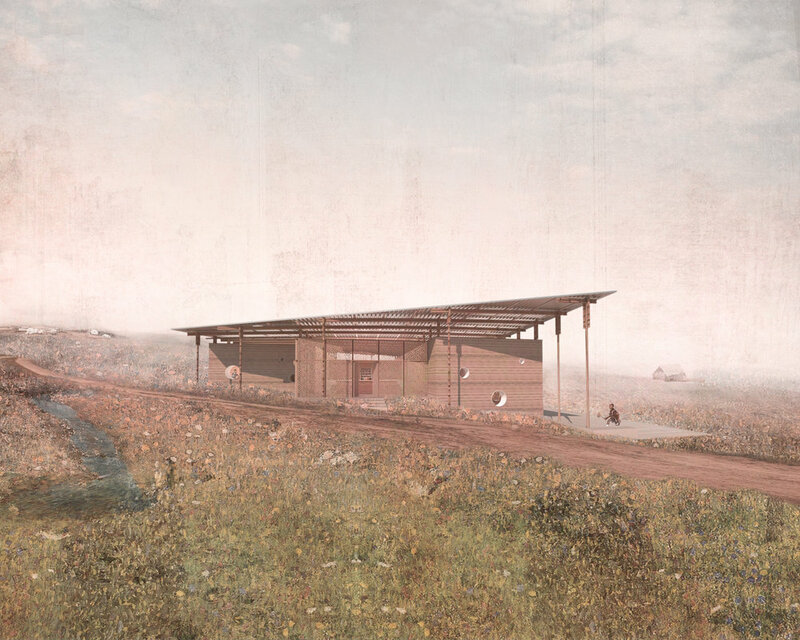 Located at the foothills of the Kwahu Plateau in southeast Ghana, this library makes use of a diverse ecological landscape, giving agency to a small village to construct a building over time. The building itself is simple, and consists of small, medium, and large rooms for books, reading, teaching, film viewings and civil meetings. These rooms are defined by a single wall, built of the earth and over time, structuring space and experience. Rural Ghanaian villages have a history of building with the soil, whether it be by ramming earth into place or molding, baking, and stacking mud bricks. But because of modern building practice and a latent thirst for standardization, concrete masonry unit construction has replaced skilled, regional, indigenous labor practices. This project, however, looks to uncover the wisdom of the land and its people. 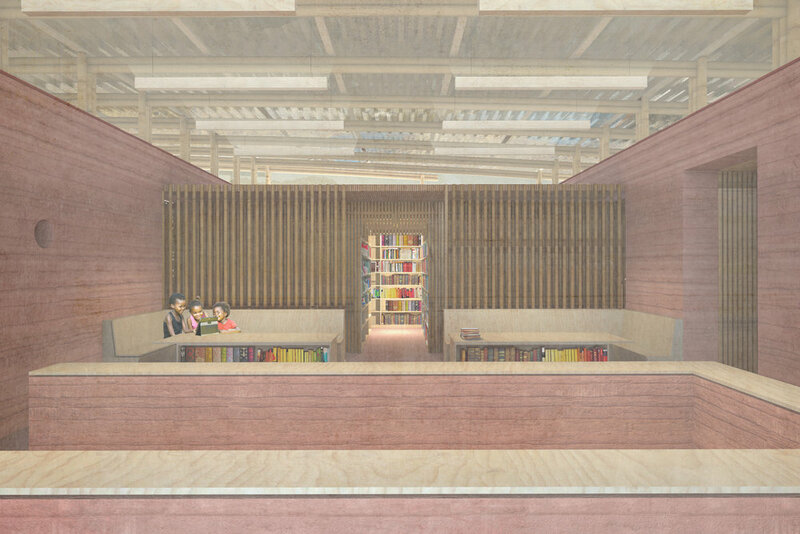 Just as the library lends intellectual resources to the community by way of books, so too does building the library (re)educate the community of a lost construction technique, that of the use of rammed earth. The result is a building that makes itself over time, like a mollusk producing its home shell from its surrounding minerals. Each phase of this developing building uses the site of future construction to make building materials for the library. Soil is gathered from a nearby failed development and is rammed into place with simple labor techniques. The footprints of future wings of the community center serve as bamboo nurseries, which feed the building with material for ceiling joists and interior wall finishes. In this way, the site strategy and construction methods aren’t simply pragmatic; they are aspirational. Each phase of this developing building uses the site of future construction to make building materials for the library.